It's clear by now the best shared web hosting services tout a balance of low cost and unlimited resources, including email, domains, storage, and customer support. After reviewing the top shared hosts for WordPress, Linux, eCommerce, and more, we compiled a handy-dandy summary table with our findings. 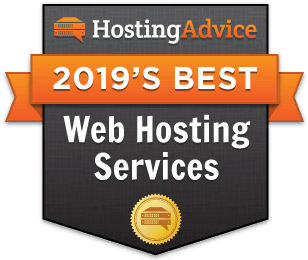 We encourage you to consider cost, website builder services, and support options, in addition to our experts' ratings, when choosing the best shared hosting provider for your next project. Looking for something other than shared hosting? Shared hosting is likely where your web journey will begin, so we put together a shared hosting starter kit! As my personal websites and technical expertise have become more refined, so has my taste for the shared hosting provider keeping everything online. At the beginning, I craved the equivalent of hosting fast food: something cheap, with name recognition, served with fries, a drink, and a toy — everything I need, all on one tray. Now, however, my palate is more sophisticated and discerning. I appreciate speedy solid-state drives, ultra-helpful support teams, and that second or third nine after the decimal point when describing reliability and uptime guarantees. As with food, finding the right hosting meal is all about finding the balance between the nutritional elements you want and how much you’re willing to pay. We’ve targeted some of the biggest shared hosting differentiators and highlighted the providers with the best services for whatever you’re craving. To start figuring out what to order, you’ll want to take stock of the menu and what you’re hungry for. What’s your budget? Are you looking to blog or start an online store? Is this a pet project or something you want to grow to reach a large crowd? How much help do you need to get a site online? When it comes to a reputable and affordable shared hosting provider, Bluehost is among the best in the business — combining low cost with modern hardware configurations and reliability. The biggest deal of the industry, however, falls to iPage. Boasting excellent features and performance, iPage excels at a price point that is hard to beat. You’ll most often find cPanel on Linux shared hosting, and few are better than Bluehost. Their custom cPanel interface unlocks one-click installations of popular content management systems, email setup, and domain management. We appreciate GoDaddy’s industry-leading load times and that they give customers a choice between cPanel and Plesk. Already the world’s top domain registrar, GoDaddy is a shared web host tailored for usability and support at unbelievably low prices. You’ll want to choose a Linux shared hosting package especially if you expect to use a popular content management system such as WordPress or Drupal. Given how involved they are with the WordPress website hosting community, Bluehost is an easy recommendation for Linux hosting. 1-click installations for WordPress, Magento, Joomla, Drupal, PrestaShop, etc. Most hosts provide easy access to WordPress and similar programs, but some of our favorite providers go a step further. Bluehost actively contributes to WordPress, while SiteGround optimizes performance by including three layers of caching. For those customers needing more help getting started with WordPress, InMotion created their own site builder, called BoldGrid. Consistently one of the fastest hosts in the game, InMotion boasts top-notch SSDs that will load your website up to 20 times faster than the regular hard drives you’ll get with other shared hosting providers. What’s more, they offer a 90-day money-back guarantee to give you ample time to test putting the pedal to the metal. We love when hosting providers craft their own site building solutions to meet the specific needs of their customers. The one-of-a-kind BoldGrid is the first builder to harness the power of WordPress, while iPage’s WebsiteBuilder provides hundreds of templates for creating a stunning responsive look. MyWebsite, the custom builder from 1&1, comes with a 30-day free trial and more than 100 apps to add to the functionality of your site. Trust us — a quality shared web hosting package is worth the investment. The companies reinvest your money into upgrading infrastructure, adding services, and hiring more support agents. Free hosting plans put your website on slow servers and won’t pick up the phone when you have a question. Save yourself the trouble by starting with an affordable host right off the bat. The Best Shared Web Hosting Companies Welcome Newbies! Classy restaurants commonly station a host or hostess at the front door to welcome prospective patrons and answer any questions they might have about the menu before they come inside for a table. Hosting companies employ similar tactics by welcoming new customers with discounts and extra features. Figure out what features you’re craving, find the best deal, and watch yourself quickly become a hosting connoisseur!